[02:46:34] <skunkworks> start with a 5.5 inch shaft... remove everything that doesn't look like the drawing..
[03:10:25] <skunkworks> it seems also that nvidia is less tollerated now.. (2 videos - one onboard and one pcie that both ran decent on 10.04 don't run well with latest rtai image. 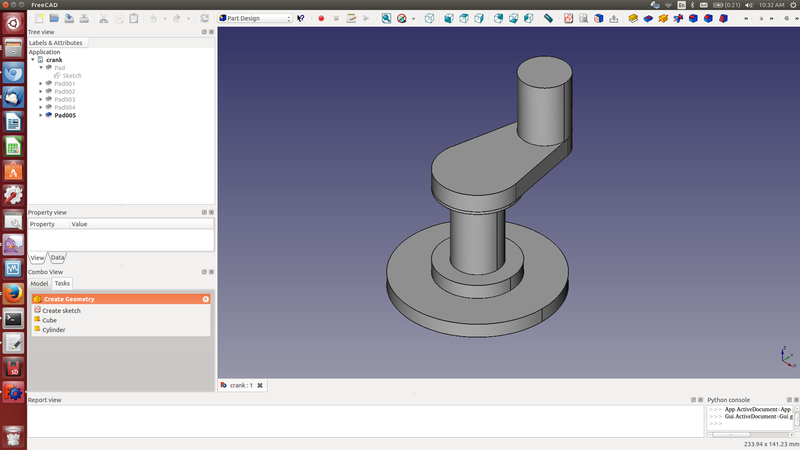 [03:27:37] <skunkworks> seb_kuzminsky: my first freecad drawing..
[03:31:21] <skunkworks> but the k&t has english ball screws! [03:33:00] <seb_kuzminsky> what's the crank for? [03:33:54] <skunkworks> I am working on a stirling engine - I need a test bed to play with head shapes..
[03:34:38] <skunkworks> I am converting a old 2 cylinder air compressor - So I need to adjust the crank so it will be 90deg out of phase instead of 180..
[03:36:15] <skunkworks> the way the air compressor is built - I can just sort of cut off one side. make a new replacement that I can bolt together 90deg out. [03:38:00] <skunkworks> which is good because that side of the crank journal was gulled. [04:31:30] <seb_kuzminsky> wow, that's terrible! [05:02:37] <seb_kuzminsky> what video card is in use? [07:28:23] <CaptHindsight> I usually use v2.5_branch-rt without any problems, maybe master-rt is the problem? [14:24:57] <cradek> jepler: thanks for doing that analysis. The reasoned results are different from my knee-jerk thoughts. [14:56:24] <ssi> hm... you guys ever seen BeRTOS? [14:56:53] <pcw_home> is that related to ErnieOS? [15:42:04] <pcw_home> tons of added crap? [15:42:46] <pcw_home> video driver different? [15:45:29] <pcw_home> does wheezy have the same issue? [15:46:03] <pcw_home> old 10.04 livecd? [16:22:15] <cradek> seb_kuzminsky: I'm working on the docs. Although I admit it's a new feature, I think this change is both useful and safe enough to consider sneaking it into 2.6. [17:02:17] <skunkworks> ton of cards that have dvi/hdmi/vga - but you can only use 2 of the 3 at once. [17:02:41] <cradek> can't you just use two cards? [17:02:57] <cradek> or is that passe? [17:03:59] <skunkworks> pci/pci-e, pci/pci - same brand / different brands.. no luck. [17:04:52] <skunkworks> no clue.. some blue screen - some just didn't boot. [20:09:19] <cradek_> andypugh: thanks for working on the remap! [20:09:57] <andypugh> I will push the sample config in a few minutes. I want to set a job going on the mill. [20:10:15] <andypugh> Actually, make that in an hour or so, probably. [20:15:07] <andypugh> I would like to see it there. Even I am unlikely to break anything with a sample config. [20:21:34] <andypugh> There might be an artificial and unnecessary conflation here. 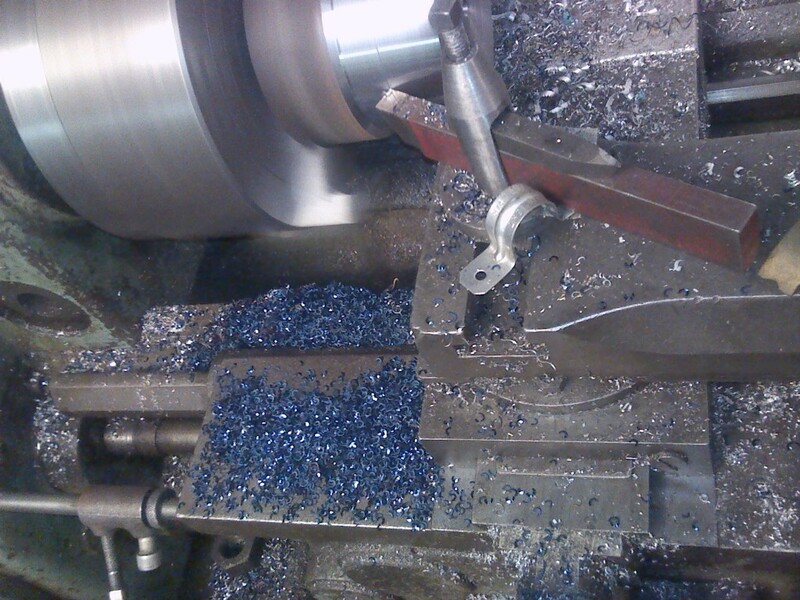 The lathe-style remap might still be useful even without compound offsets. [20:22:13] <andypugh> T0201 could still be parsed as M6 T1 G43 H2 in the current version. [20:23:00] <andypugh> Today was the first time I have seen mention of the Okuma T030201 format. [20:26:48] <andypugh> I might even start using it. But I think I would change around the “encoding” with 01 being tool 1 base, 0100 being tool-wear 1, 010000 being an offset just for fun. :-) The 10001 as wear-1, 10002 as wear-2 scheme seems silly and non-obvious. [20:41:49] <andypugh> He’s Stuart’s problem this time. [20:43:30] <andypugh> He must be simply a nicer person than me. [20:46:08] <cradek> I've made that change and it's actually relatively hard to redo all your ins and outs properly. the m5i20 driver had much more obvious pin names because it supported only one configuration of daughter cards. [20:48:49] <andypugh> Clearly Seb is a bad person for not keeping the m5i20 names as aliases for the new pins. [20:49:17] <andypugh> (actually, punting Aram a hal file of pin aliases probably _would_ fix it for him). [20:49:47] <andypugh> If only he hadn’t annoyed me so much I might even have done it for him. [20:51:25] <andypugh> Right! To the Workshop! [21:02:24] <micges-dev1> PCW: that's great! [21:06:41] <micges-dev> but it would be sane to have DB sserial remote boards? [21:10:32] <jepler> PCW: you think this 64-bit thing is a bug in the linuxcnc driver, or elsewhere in the chain? [21:18:19] <PCW> why would we ever need more that a 64 bit bit field? [21:21:00] <jepler> you said something about a limit of 96 bits too, where does that come in?